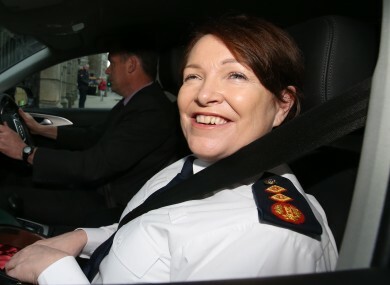 The party said it cannot express confidence in Garda Commissioner Noírín O’Sullivan. FIANNA FÁIL IS considering tabling a motion of no confidence in the management of An Garda Síochána. The move comes following strong criticism of the Garda Commissioner Noírín O’Sullivan at last night’s Fianna Fáil front bench meeting. A litany of massive errors emerged last month which led to almost a million phantom breath tests being logged on the Pulse system and hundreds of thousands of drivers receiving summonses they should never have been sent. Last night, Fianna Fáil reiterated its stance that it cannot express confidence in the commissioner. There was also criticism of the commissioner’s performance at an Oireachtas committee meeting last week. Sinn Féin’s motion of no confidence in the commissioner is due before the Dáil on 12 April – however, Fianna Fáill are not expected to support it. It’s understood that Fianna Fáil are considering their own motion, or, if the Labour Party are receptive to the wording, both parties may join forces to bring forward such a motion. This would most likely be heard in May. Labour leader Brendan Howlin questioned the Taoiseach in the Dáil today, asking if the government can continue to have confidence in garda management. “I retain confidence in the commissioner,” said Taoiseach Enda Kenny. Fianna Fáil’s Sean Fleming confirmed to Newstalk Breakfast this morning the party has said if Fianna Fáil was in government it would remove her from office. O’Sullivan is due back in Leinster House later this month to appear before the Oireachtas Committee on Justice. She will face questions in relation to the breath tests and false summonses. The committee has agreed to send 15 questions to the commissioner in relation to the scandal and in addition, asked her to outline her knowledge of any further mishandling of garda figures. Her written responses are due back to the committee the day before the Sinn Féin motion of no confidence. Yesterday, Tánaiste Frances Fitzgerald outlined plans for the independent root-and-branch review of the gardaí. She also told her Cabinet colleagues that the Policing Authority will carry out an investigation into the breath tests scandal. It’s understood an independent expert, who could be named as early as this week, will head up the Garda review. It’s believed Fianna Fáil were not consulted prior to the plans being brought to Cabinet yesterday. One source said the lack of consultation with Fianna Fáil’s justice spokesperson Jim O’Callaghan prior to the meeting is a clear indication that the relationship between O’Callaghan and Fitzgerald has soured. The Tánaiste is scheduled to meet with opposition representatives today. Email “Fianna Fáil might join forces with Labour for motion of no confidence in Garda management”. Feedback on “Fianna Fáil might join forces with Labour for motion of no confidence in Garda management”.